Your TEAM passion + our PREMIUM brands connect you on game day as only FanBrander products can! 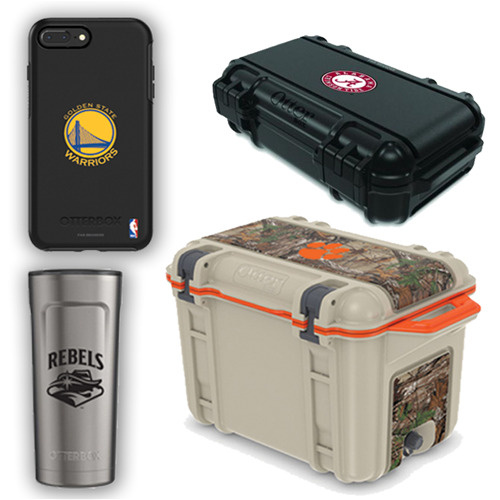 Licensed Designs on Name Brand products from OtterBox, Speck, LifeProof, and mophie. Products include phone, tablet, and Macbook cases, chargers, charging accessories, Tumblers, Coolers and DryBoxes. Fan Brander cases offer the consumer the best brands and allow them to choose their favorite designs and combine them with their favorite brand and perferred level of size and protection. We offer slim cases that easily slide in and out of pockets and different levels of protection all the way up to the OtterBox Defender series.